The long-established family fuel business is relatively new to Which? Trusted Traders, but quick to win the coveted monthly prize. Tincknell Fuels is a long-established family fuel and heating-services business. Started over 60 years ago, Tincknell Heating Services, part of the Tincknell Fuel group, now employs over 25 dedicated people operating throughout south-west England. It prides itself on being a one-stop shop for oil-fired appliances, and is increasingly moving into the gas installation and servicing market too. Nick Turner, parts and installation manager, has been at Tincknell Fuels Ltd for 16 years and says he still looks forward to coming in to work after all that time. Nick puts that enjoyment down to the fact that Tincknell Fuels Ltd is a family company that wants to provide excellent customer service and see the job through, and takes pride in what it does. Read our guide to find out more about how to become Which? Trusted trader of the month, or read on for more on Tincknell Heating Services and the reasons for its win. Even with this level of customer service, Nick said it wasn’t easy gaining accreditation, but largely thanks to the efforts of Sam in the office, the team were delighted to be endorsed in November 2016. The company’s swift response to all outstanding actions required as part of their endorsement and embracing of the scheme were two of the things that impressed the judging panel. The business has had some great feedback about the flowers – as well as the installations. And feedback is really important to Nick and the team. He told us: ‘Since we became Which? Trusted traders, I get a real buzz out of reading the reviews from customers, based on the superb service that the installation team offers.’ Nick said they make every effort to encourage customers to leave reviews on the site, as these help other customers to choose Tincknell Heating Services – and they’ve managed to get more than 25 reviews in just three months. Nick and his team also take the time to respond to each of these reviews. My mother suffers from dementia and lives alone. Her boiler broke down and was condemned during a very cold snap. Nick sent someone out the same day to assess the situation and to provide a quote. Within a week the new boiler was fitted and commissioned, and my mum could return to her warm home and familiar surroundings. No mess, no fuss, just as you would want it. 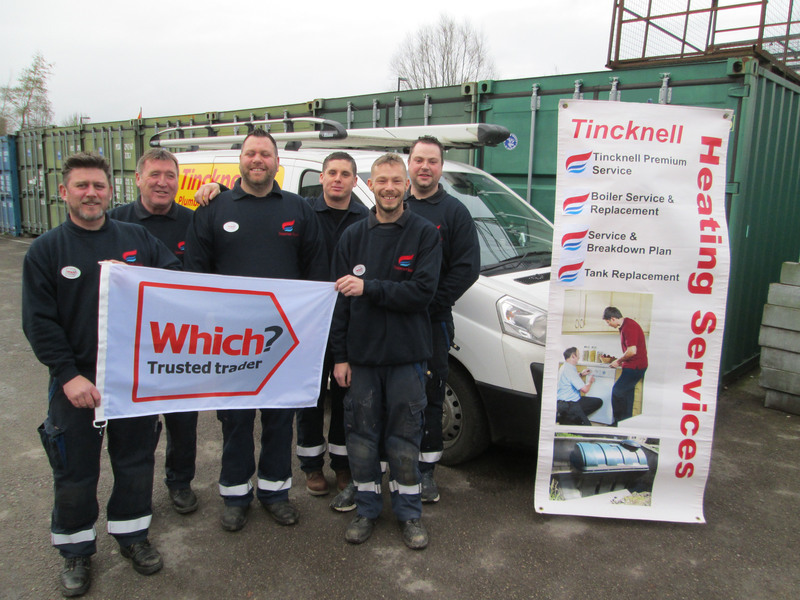 Congratulations to Nick, Sam and all the team at Tincknell Heating Services – March 2017’s Which? Trusted trader of the month.